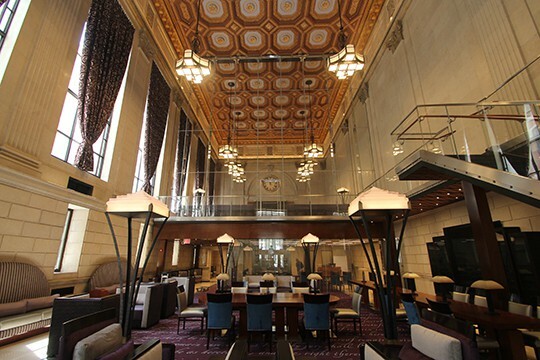 Designed by celebrated architect Horace Trumbauer, the former Beneficial Saving Fund Society has been a landmark in Center City Philadelphia since its completion in 1918. 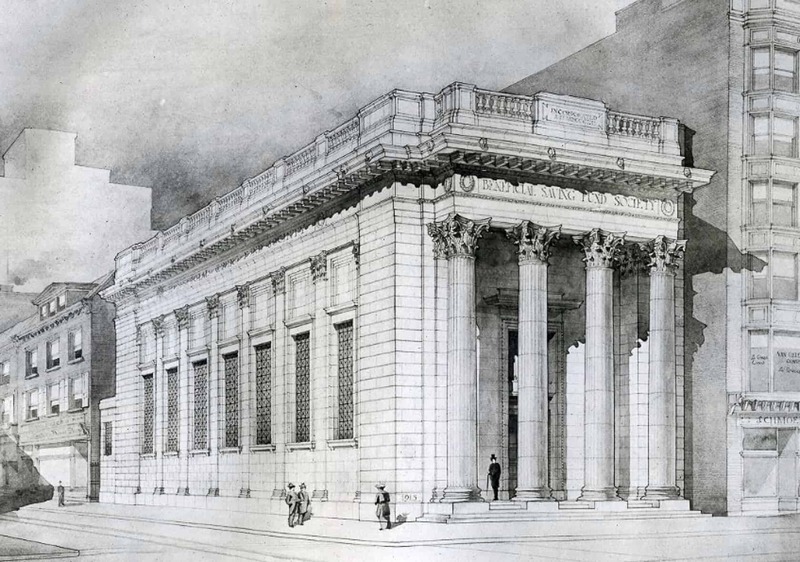 The grand, Neoclassical building remained occupied as a bank for nearly a century, closing its doors in 2012. 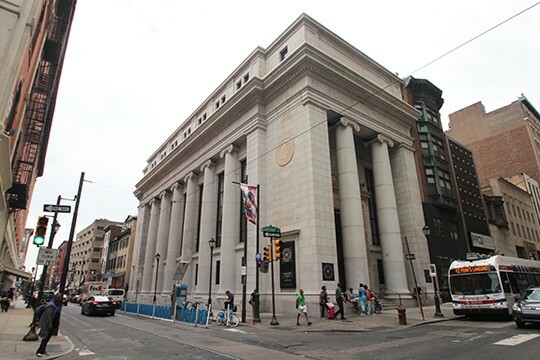 Although vacant for several years, in 2015 Powers & Company began work with the new owner, Drexel University, to guide the rehabilitation of the building through the Federal Historic Tax Credit process. The result is the new Kline Institute of Trial Advocacy of the Thomas R. Kline School of Law. On the exterior, the project included careful restoration of the striking granite façade as well as the installation of appropriate lighting and signage. Inside, the grand banking hall, with its marble finishes and soaring, coffered ceiling, was sensitively adapted for use as practice courtrooms, gathering spaces, and faculty offices. Creative solutions included the installation of a three-story glass curtain wall to separate the main practice courtroom on the mezzanine from the public space at ground level. This impressive feature ensured an efficient use of the former banking space without adversely impacting its character-defining historic finishes or volume. The Kline Center officially opened in 2018.